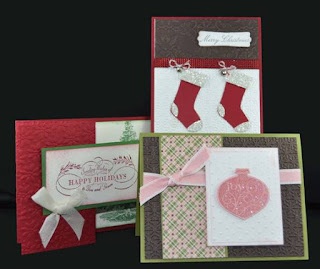 Stamp A Stack is this Saturday, November 26, from 10am - 6pm. Register today to avoid disappointment. Please allow 3 hours to complete your cards and drop in anytime between 10am and 6pm. There will be door prizes, demonstrations and loads of fun. Don't forget there are many specials on right now. Just imagine the Valentine's Day projects you can create with this sweet special. Hope to see you Saturday at Stamp A Stack. Love the pink and brown!